The nylon-leather combo looked terrible as far as I was concerned, and the navy and brown that seemed to be so common was jarring to me. Celine bores me as a brand. They play it safe, don't take risks and don't produce any stand out pieces as far as I'm concerned. They seem to pop up everywhere though, whether it's that t-shirt or a certain leather tote. But it becomes the case that the more you see it, the more accustomed to it you become - and yes the Longchamp bag is nicer in other materials, but no-one told any Irish stockists (prove me wrong, please god prove me wrong) and the Celine bag reminded me of a smaller, more square version of a Marc Jacobs bowling bag I'm particularly fond of. So I began to think a bag like either of these might be nice as a weekend, errand running, casual day in work sort of bag. 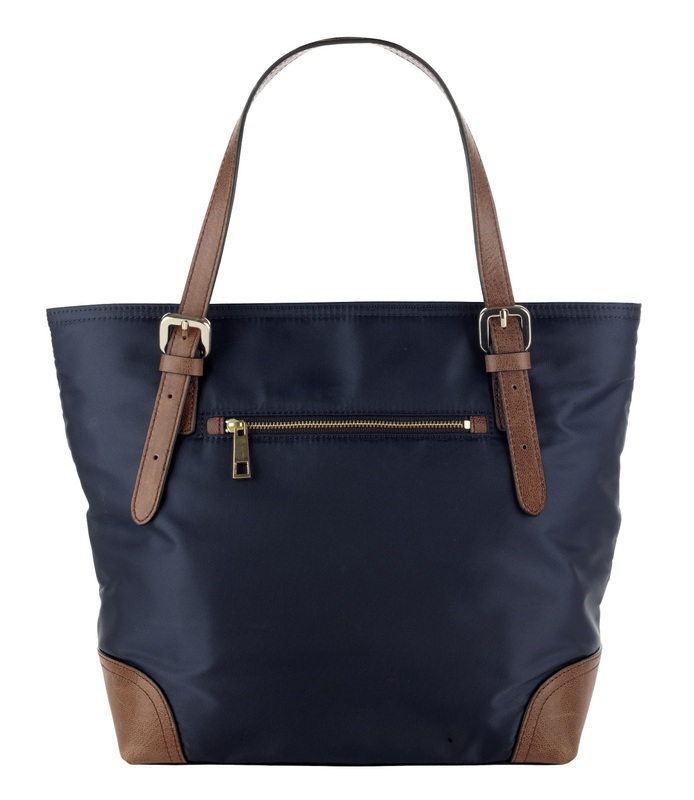 But as far as the Longchamp bag was concerned it always seemed like there was something missing from the bag's design. Then I saw the M+S take on the look - and something in my head woke up and paid attention. It's not identical. But it's not far off as far as I'm concerned, and the extra details make the bag more interesting to look at. It's £35, but I'm not quite sure how that will translate to Irish stores, but I will be trying it out if I see it. Am I the only one who tries on bags? 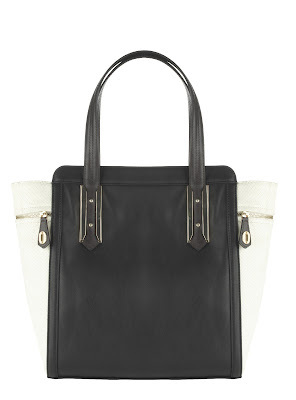 As far as my search for a boxy black and white tote, Marks and Spencer have me covered again. Black and white and gorgeous - kudos Marks and Sparks! 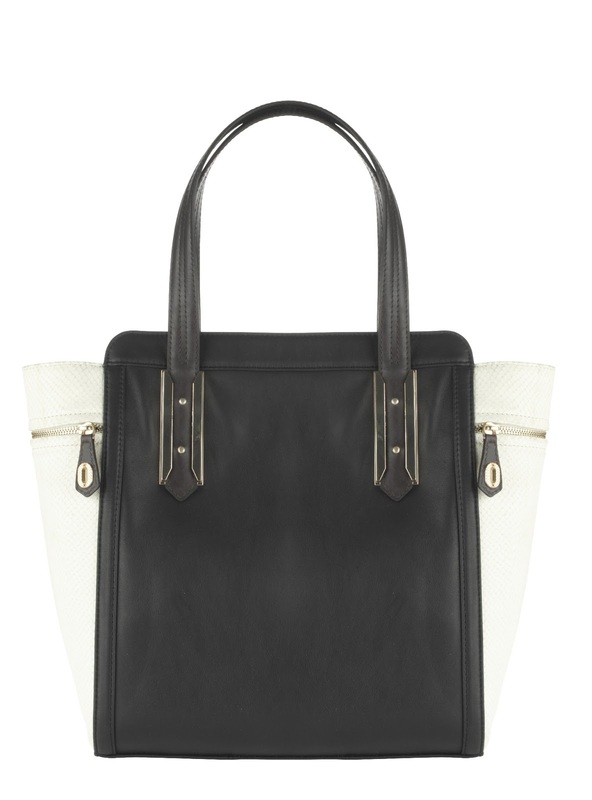 I adore this bag. It just has so much more character than the Celine bag but it has everything I was slightly ashamed to admit I liked. It's £129, again not sure of the price for Ireland, but I will be scouring every store I see in search for it. I currently sport a large black and gold doctors bag I picked up in M+S months ago, and I love it. It's sturdy, looks great and is lasting really well. I think M+S is sometimes written off as a high street store. Famed mainly for it's cookies and sensible shoes. But maybe it deserves another chance? Do you shop in M+S? Are you on a bag hunt like I am? I love the look of of both of these. I need a new everyday block black and am keeping an eye out for the M&S sales! !